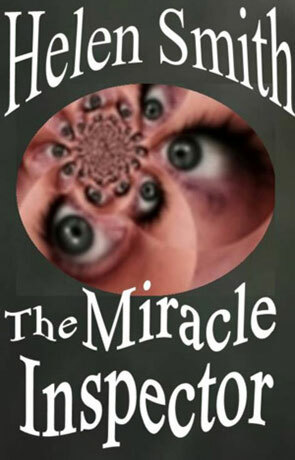 The Miracle Inspector is a science fiction novel by Helen Smith. England is now a partitioned country with the capital an oppressive place where poetry has been banned, schools are shut and women no longer allowed to work outside of the home. Lucas and Angela decide to try and escape the confining regime of London - with potentially disastrous consequences. The Miracle Inspector is Helen Smiths third novel and was the recipient of an Arts Council Award in 2008, it has received acclaim from such places as the Times. The story itself takes place sometime in the near future, a dystopian vision that's pretty bleak with a controlling, corrupt dictatorship that places many harsh restrictions on it's citizens. A future where women have no rights at all and are only allowed out the house to visit relatives. A future where any form of expression is forbidden, a decaying society walled off from each other and the rest of the world. The all powerful "Ministry" tightly control a paranoid and distrusting populous, some of which simply disappear without trace, others which go underground to recite poetry and play music. The prose is very confident and descriptive, bled of emotion to highlight a deeply menacing subtext, somewhat alleviated by a subtle dark humour running throughout. The plot focuses on the relationship between Lucas and his wife Angela as they try to improve their lives by escaping the constricting life in the capital, we follow their journey and read about their private ambitions and their feelings, it's very much a character driven novel, you won't find that much action as that isn't what the novel is about. The characters themselves are richly detailed and complex, Lucas is a bit unhinged but loving while his wife struggles to accept her role in society. Slightly reminiscent of Cormac Mcarthy's novel The Road (only no where near as bleak or depressing), the literary style is somewhat refreshing, sobering and reflective. I love the way that there is no attempt to describe the backstory, just hints offered casually through the story. This kind of minimal information feed heightens the tension and encourages the reader to seek out new titbits of information in attempts to build a picture of the past. The ending is quite powerful and leaves a lasting impression on the psyche and there are important messages to be learned, the way that people behave when subjugated and trapped and the effects this has on ones physiological health along with a social commentary on bureaucracy and paranoia. The Miracle Inspector is one of the few novels that everyone should read, it's a powerful novel that's masterfully written and subtly complex. Written on 13th January 2011 by Ant.